Wait…ways of innovation? Is there another way of innovating? Maybe not innovation itself needs to change, and you cannot speed up the way people innovate, can you? Well, we can increase the environment we are in to be inspirational. We can help people to think “out-of-the-box” to be able to come up with solutions to problems we may have been unaware of before. etc. Step out of organized Research and Development and into consumer world to experience the developments and needs of our users. Another aspect that was mentioned was Fail-fast. This is something the Agile world has been using as focus for a long time. Agile methodologies and frameworks help organizations to fail fast. And the emphasis needs to be on Fast, not on Fail. We do not help them to fail, we help them to fail Fast so they learn quicker. One of the most inspirational speakers was Erben Wennemars, an ice-skater who has won numerous world championships and took us along in a story about his journey in ice-skating. His story I found very fitting with the topic of the symposium, even though he claimed to not know much about our work. He has dealt with many things during his career as ice skater. One of the most important things he mentioned was that top-class athletes need goals and passion. They need to translate those into a vision for themselves and they need to work hard to achieve those goals. They need to go to the brink and beyond to be the best and to win. This helped me realize that unorganization is part of a learning curve. We need to fall, or at least need to experience unorganization to be able to deal with it in the future. The way a seasoned traveller knows how to deal with missing a connection without panicking. The way veteran fighters are more effective in a war after having seen more than just one battle. The way Wolff’s law (bones heal up stronger) is applied in breaking – a martial arts skill where hard materials are broken with bare fists, elbows, etc. Many experienced entrepreneurs can be found among those who have failed businesses in their past. For example, using numbers mentioned yesterday, 80% of startups fail. Does failing make YOU a failure? Or does it make you stronger? I believe that we can use unorganization to help our company get stronger. This does not mean we need to fail; this means we need to learn from failure or potential failure. We can use unorganization to help our professionals learn and get stronger. The way in “The Phoenix Project” John the security officer used “Evil Chaos Monkey” to help the company to overcome the problems that could occur if external agencies (hackers, criminals) exploit the holes and cracks in your system. 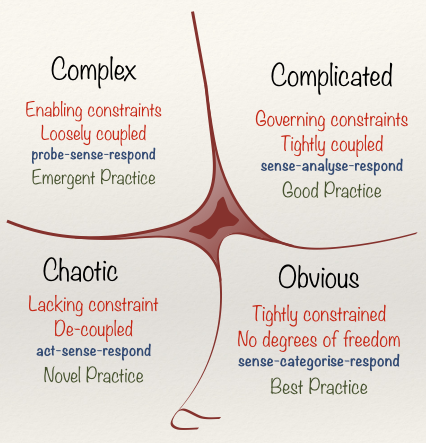 As I referred to Cynefin in my previous blog, the Chaos domain is to be avoided. We do not want to find ourselves in a situation where we need to apply novel practices to survive. But those who did survive have learned valuable lessons to get out of this domain. I believe by skirting the edge of Chaos we can become better. 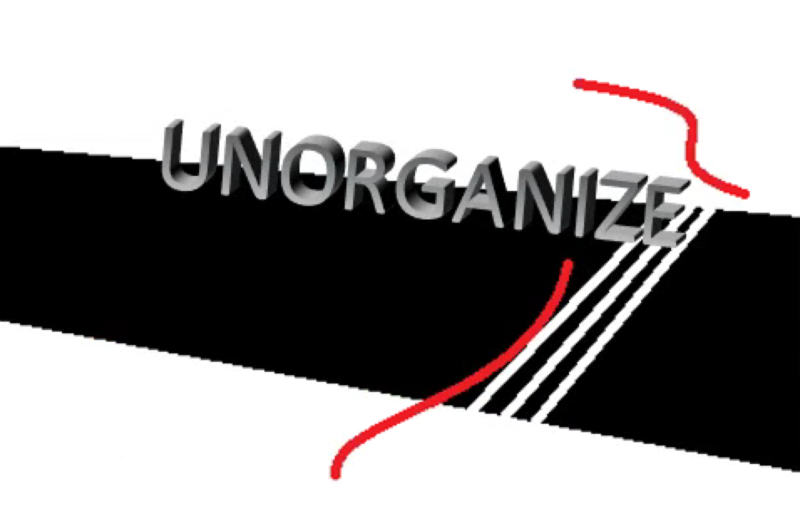 We can bring organization to unorganization and WIN. As I said, Agile is seen as a mindset, a way of working. It is not so much a tool, as it is an approach to solving things. So where does Agile work and what is not its domain? If I need to answer this question I look for examples, situations, I look into my past experiences to see if I can make someone understand. Cynefin is a framework that Dave Snowden uses to explain the types of systems he identifies. It is also called the sense making model and it has helped me to explain to people where Agile fits. Within Cynefin Mr. Snowden described four types of systems. In Obvious systems there is a clear relationship between cause and effect. These things are normal to us. They are obvious and after childhood these things stop to amaze us. To achieve things within obvious systems we can suffice with a checklist for the actions we take to achieve an obvious goal. Often a checklist is not even necessary as we know what will happen. Complicated systems usually mean we cannot immediately see the effect of our actions. We need to do some analysis to determine what will happen. it could also mean we need to have acquired some form of expertise to know what will occur and we will therefore need to involve other people. For these systems we can find Project Management to be necessary. We can set up projects with a clear end and afterwards we will have achieved a goal that we have set in the beginning. Waterfall fits well here. Complex systems describe the environment where we do not really know the effect until we have experienced a bit of the solution. We need to allow knowledge to emerge while we work on finding out what will work best. Waterfall does not support these systems. We cannot predict what the precise result will be. (I am not referring to Dr. Winston W. Royce’s white paper when I mention Waterfall. It’s the single direction method that emerged later that does not support Complex systems). Chaotic systems have no correlation between cause and effect whatsoever. You need to figure our then and there what the best thing is that you can do, yet there is no guarantee that it is the right thing to do. There are no clear ways to deal with these systems so it is good to monitor the situation continuously and to find novel ways in dealing with what happens. Now, to answer the question I asked before I started telling you about Cynefin. Where does Agile work? The domain is clear. Agile fits best in the Complex system domain. Can we use Agile in the complicated systems domain? (Can we use a hammer to stir soup?). Sure we can, Agile will work. It even works in the Obvious systems domain. The question is if it is necessary. A checklist won’t work in a Complex system, so the ways to deal with the systems will work in the previous systems but not the other way around (as shown in the picture it works clockwise, not counterclockwise). When I get to a new situation I often look at what kind of system I can determine I am in. No, and specifically not within Chaotic systems. It works better there than waterfall though. Within a chaotic system we need to have practices what we can to make it possible to understand the situation we are in. The more muscle memory we have the better we will survive. I hope Cynefin will make sense to you. It helps me a lot! Other Agile experts also have this professional deformation and we meet up on Agile Coach Camps and other Agile events. One of those Agile friends is Rolf Dräther (Happycentric) whom I met on our Agile Coach Camp NL (ACCNL16) this year. Rolf had taken a trip to Norway and was intrigued by a postcard he found there. The postcard showed him the Viking Laws and he was astonished how well they can be mapped onto Agile culture. Looking at these laws I’m struck by how well they fit on Agile cultures. The first set shows the way Agile teams approach the work they have, to not have a Big Design Up Front, to be open and direct, to use Swarming (get one item done at a time – to limit work in progress), and the approach towards tooling. The second applies to how Agile teams are set up with a focus on technical excellence and to have just one person responsible for the product so the team does not have more than one person setting the vision. When I look at the third one I see the way Agile teams deal with the outside world. To look at what is important now in the current marketplace and go for what brings the most value. Measuring what can be done in one iteration and only picking up (and promising) what they can deliver. To not work overtime, and be clear in expectations so people want to keep coming. The last set for me represents how teams do their work. They use the boy-scout rule, leaving the code they work on better than they found it. They keep the work they do fun for all. They don’t do the work alone, everyone has a say in the product development and are all there during refinement sessions. I am going to use this in my trainings and while coaching my teams. They can apply these rules, and/or add to them. Can I live up to these Viking Laws? In Part 1, Part 2 and Part 3, I explained Theme Screening and Theme Scoring. In Theme Screening we added a weight and made the scoring more relative. Relative weighting takes the weight factor of Theme Screening to another level and adds the teams estimate to the equation to make a new ranking within the Product Backlog. What is the impact of implementing this theme scored from 1 to 9. We add these two values together per theme and this is the “Value” of the theme. Then we determine the relative estimation per theme. This is the “cost” of the theme. Both these need to be normalised to make it usable in the future. After all, a backlog is not a fixed list. We can do this by making the “Value” and “Cost” variables into percentages. Add up all the values and all the costs and determine per value-variable and cost-variable what this represents as a percentage of the whole. Then we divide the Value percentage by the Cost percentage. This represents a very pure ROI number of the theme. This ROI number we can use to rank the Theme in the full list. What I like about this way of determining value is that it actually relates it with the costs as well. Mind you, this does mean that you have to have sessions with your development team to discuss the Theme before you can rank it in your list. To be honest, I expect the Product Owner to involve the team anyway in the Backlog Refinement sessions every week. Looking back at the different methods to calculate value I have a slight preference for Relative Weighting when I consider the full ROI focus I expect a Product Owner to have. It is still a tool and Agile considers tools to be important only if they support interaction. What tool you choose is up to you as “value optimizer”. Make sure that it matches your environment and product. You could also use more than one tool. I can imagine that the first setup of a Product Backlog when you have not selected a development team yet is best helped by Theme Screening or Scoring. Without the estimations of the team the ROI calculated in Relative Weighting is too unsure. At least determine with your stakeholders what is important to get ready for the new team first. But involve existing or new to form development teams in your determination of Product Backlog items. The use of tools should not interfere with your work as Product Owner with your team(s). You as Product Owner are accountable for Return of Investment, most of the time with the research that you do and the stakeholders you work with you get a feeling of what is value for you and your product. With the tools I have given you it is easier to quantify this feeling. Don’t ignore your feelings though. The best result from Agile product development comes from focussing on the outcome as opposed to the output. Outcome is usually user satisfaction not short term profit. The last time I told you about Theme Scoring; this is fine for doing a single backlog ranking. To use it, pick a base theme every time you start scoring the list of themes you have. Theme Screening is similar to Theme Scoring. Yet in Theme Screening you do not pick a base theme. This time you pick a theme where you think the Criteria is best/easiest to determine. For instance, you pick Cinnamon Apple for the Criterium “Important for current customers” because in your survey under the current clientele you have found a demand for Cinnamon Apple Cupcakes. You pick Pecan Salty Caramel Cupcake as base theme for the “Profit in the next half year” because this flavour combination has turned out to be very popular with the younger upcoming generation based on your market research and tests you have performed on large cupcake conferences. Base material costs are good with Cinnamon apple and Recipe Complexity is easily determined with the Lemon White Chocolate Cupcake. For every theme you determine the score it gets compared to the reference. Next to the Scoring complexity theme screening also normalises the results by adding a weight to thecriterium. This allows you to fit your ordering in with company strategy. For instance, the CEO has consulted all Product Owners and has decided that the Base Material Costs need to be reduced. This criterium will be considered more important than the other criteria. Profit is still important, so it will also weigh more and Recipe Complexity is least important as a criterium. The ranking can now be done. And as you see, the Green Tea Honey ranks number one this time. The weight of the base materials cost criterium has pushed this theme up. Still you can get dilemmas as you can see with the Pecan Salty Caramel and Lemon White Chocolate cupcakes. They have the same ranking in Base Material cost, yet the Pecan Salty Caramel could reap better profit. The choice to make is up to you as Product Owner. You might want to wait till the team that has to build this theme has estimated the relative size. If one of them is less complex or less effort you could choose to rank that one higher. Based on the result we can decide if we are going to drop the theme for the next release or even the whole product. Compared to Theme Scoring this technique is a bit more complicated. However, you can keep these matrixes around longer since there is no single Base theme and the criterium score can be more relative to the whole list of themes making this technique more holistic than Theme Scoring. Another advantage to this technique is the weight. If you make this a matrix in which you can manipulate the weight, for instance using Excel or Numbers, you can decide on strategy based on market research, company strategy and stakeholder management. This is one of the easiest techniques to use as it gives you a firm reference with which to work. Mind you, you still have to determine the themes for your product yourself. But that is no different from other product management work. 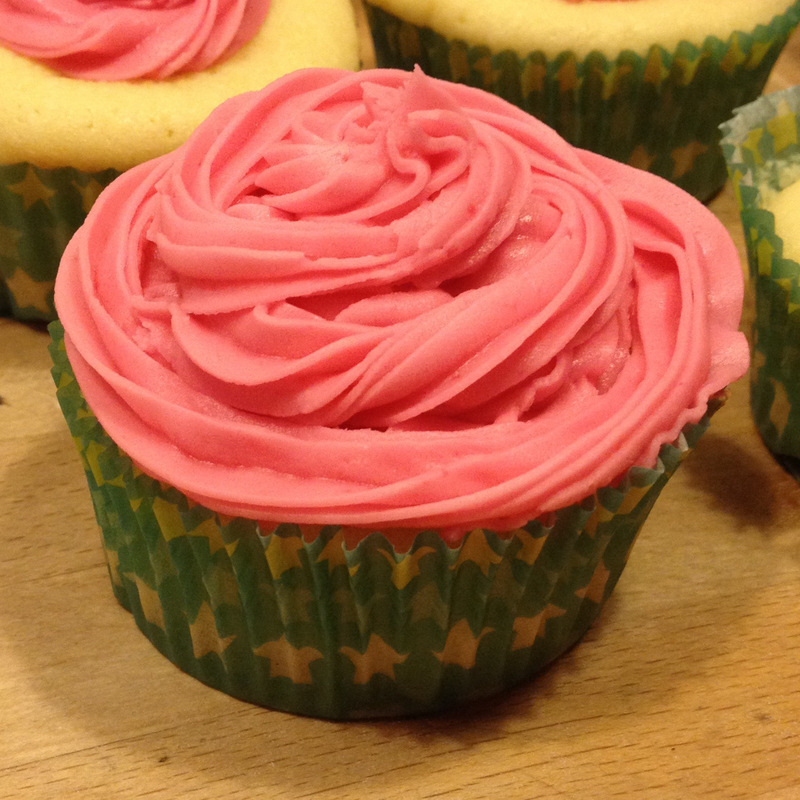 Say you are the Product Owner of a Cupcake factory. 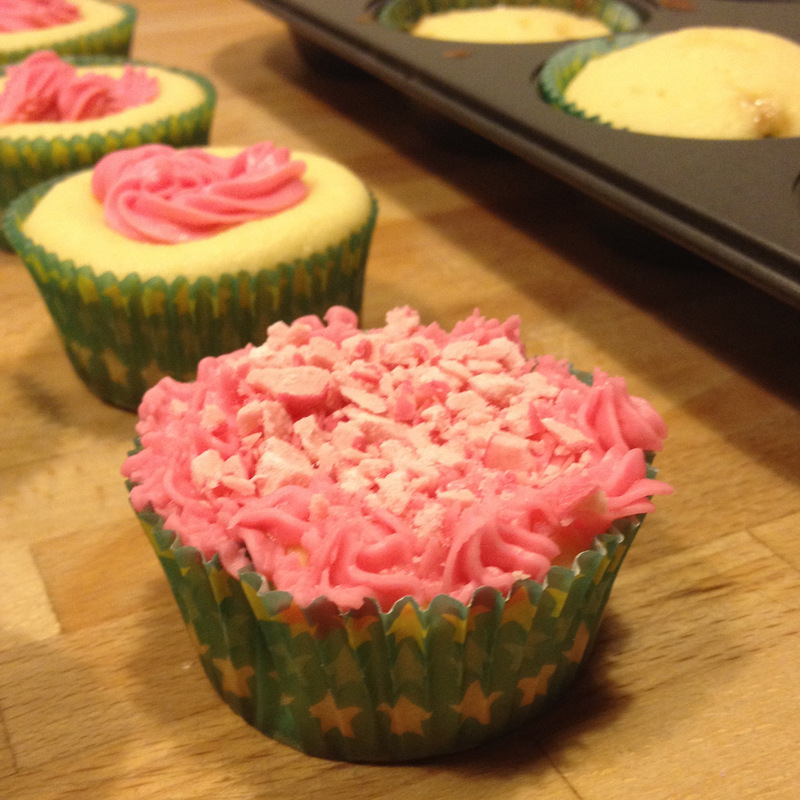 You have the hearty cupcake product line as your responsibility. What is the next product in your Cupcake suite of pleasure? You determine that next to the product “Cinnamon Apple Cupcake” you want to bring out the “Liquorice Mint Cupcake” and the “Green Tea, Honey Cupcake”. One of your stakeholders has told you that there is a fandom for the “Pecan Salty Caramel Cupcake” and the “Lemon White Chocolate Cupcake”. Mind you, this order is fine. YOU are the Product Owner and as Product Owner the order on a Backlog is yours to determine. You can listen to your stakeholders, and act on market signals, but in the end the Product Backlog is your responsibility. You are the one that determines what’s good for RoI. The company wants more profit in the next half year though and you want to give them that. There’s also the current customers you want to please. You want new customers but to alienate the current customer base is bad for business. It is also necessary to save on base materials; you need to be able to make profit. Last but not least is the complexity of the recipe. 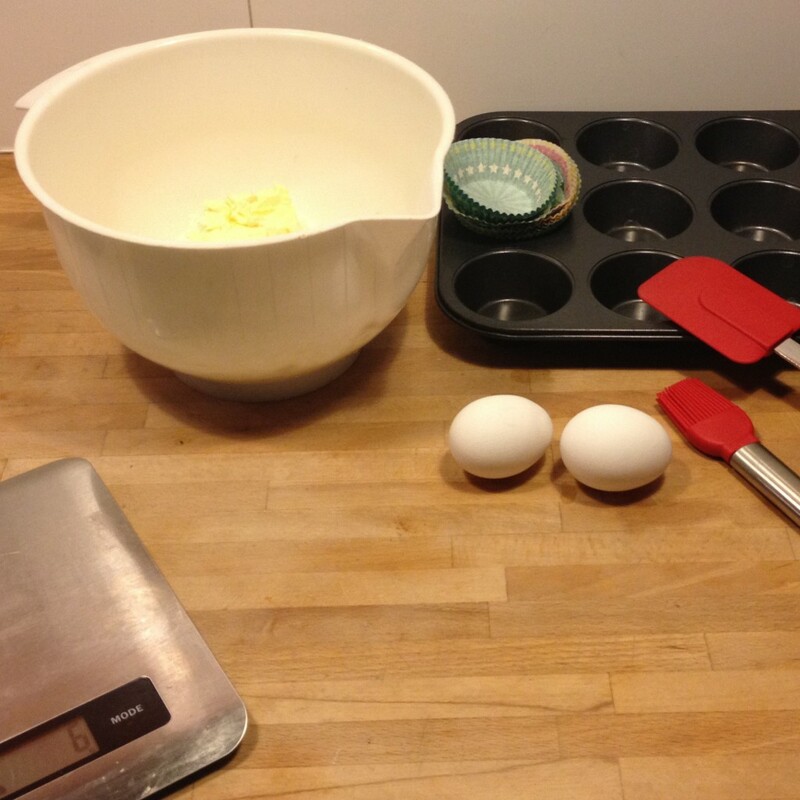 If it cannot be baked easily you end up bogging down the production process. These two lists have to be combined to figure out which of the themes make a chance to be worked on first by the conceptual bakery team. We know that the Cinnamon Apple is important for the product line so we will use this as a baseline. The Cinnamon Apple column will contain the score 0 for all the criteria. We score all the other Themes based on this Base Theme. With our stakeholders we now start scoring the other themes on these criteria and compare them with the base theme. The scoring is done using three possible outcomes. The theme is either better or worse than the base theme OR it scores the same. The result is added from the column. We add all the plusses and subtract the minuses. This leaves us with a positive or negative score per theme that we can use to rank the themes and order the backlog again. You will have to tell the concept bakery team that you and your stakeholders have a new order for the themes in your backlog during the Product Backlog Refinement session. You and your taste experts will work together on finding the best recipe to make the Pecan Salty Caramel Cupcake as good as possible and in the next sprint(s) your team will be working on this cupcake. I’d like to thank Mike Cohn, Arne Åhlander and Jim Coplien for much insight into this hands-on tool. When I wrote the blog ‘Measuring performance is an act of sabotage’, I did realise I should also give people a means to measure value. Even though I expect a Product Owner to know his or her business and Scrum does not give an answer on how to measure value because this is different for every business. In this series of blogs I will give you a few hands-on ways to measure value. Value is not something that is singular. In fact, for everyone value can be something else. Quality time spent with your significant other can be way more valuable than spending more time at work to earn more money. For every company value is different as well. profit (duh). For profit companies may, but sometimes they see more value in a growing market share. I should emphasise that offering customer satisfaction may go a long way in achieving long term success for a for-profit and service company. I’ve worked in many different companies, some were government companies, railroad and airline companies, energy companies, non-profit and profit. All see value differently, yet many choose to work Agile to achieve goals they would not be able to achieve in the current ever changing market. There are several ways you can measure value. The simplest one to understand is getting the product out there and seeing if it sells. This works well for small product that get an immediate return on investment metric. In todays world you see this simple scheme often in the app market. You think of a concept that might help smartphone users. Something you think they will pay for. You invest time in writing an app for one or more types of phone and you publish the app on the phone providers’ app-shop or store. If the app is useful people will buy it. If they like it they may even write an evaluation (if the store supports it). They may grade the app and that might push your rating up and generate more visibility for other users. For small businesses and one man companies this may work fine. For larger companies this may work if they offer the app as a service or as a side product. When I speak to Product Owners they usually want more though. Their job is to do market research, to figure out what brings most value. In my next blog posts I will explain several ways to measure value. I hope this will help you get your own competitive edge. One suggestion I would like to make now is to look into Business Value poker. Habitual things can be bad things, especially when they turn out to be addictions. But besides that, they are usually neither bad nor good. They are what make you “you”. They are what make you good at your job, or more efficient in what you do for yourself. You lock your bicycle when you arrive at the public library, you put your reading glasses in your left jacket pocket. You do things because they make sense and stick to it. When it comes to Agile we want to break through the tradition. But only when this tradition is holding you back from improving. In fact we want people to create new habits. To become more efficient. It’s how we learn to do things. The first time we need assurance. We need to test the waters and we need to get more confidence doing what we do. This is how I learned to drive a car. And I was not very quick at that. It took me a while to feel comfortable driving because there is no real margin for error. We want that force of habit. Old habits die hard, so that’s why we need to find a way to break with them. As I mentioned in my previous blogs, one of the habits we have from old days is to estimate work in time. Another one is to take all the time you allotted for a ceremony or meeting. More efficient is to estimate relative to all the work that needs to be done so we can actually increase our work speed without the student syndromeslowing us. Often I am brought into a situation because organisations fail to get their Agile implementation to work. Interestingly enough, this usually doesn’t work because items are missing or misunderstood. Because old habits or preconceptions prompt organisations to omit essential Agile ceremonies or change them into inefficiency. 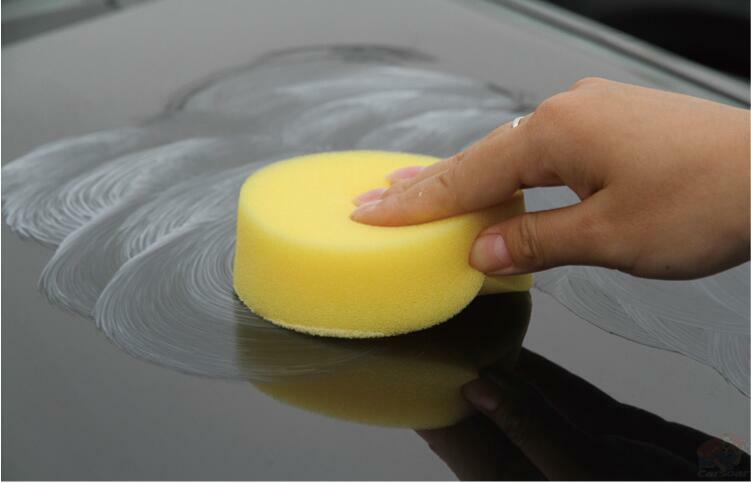 In my trainings I often refer to the movie “Karate kid” where the protagonist wants to learn karate and is taught how to wax the car of his sensei. Most people remember when I mention “wax on, wax off”. The sensei, Mr. Miyagi, is teaching him not about the power of strikes or stance. First he is teaching the movement to make. I compare this with the training drilling platform personnel goes through before being allowed on the platform. In dangerous situations you just want people to do what gives them the best survival opportunities. It’s building “muscle memory”, it’s learning people to become, as Maslow taught us, unconsciously skilled. To form habits. 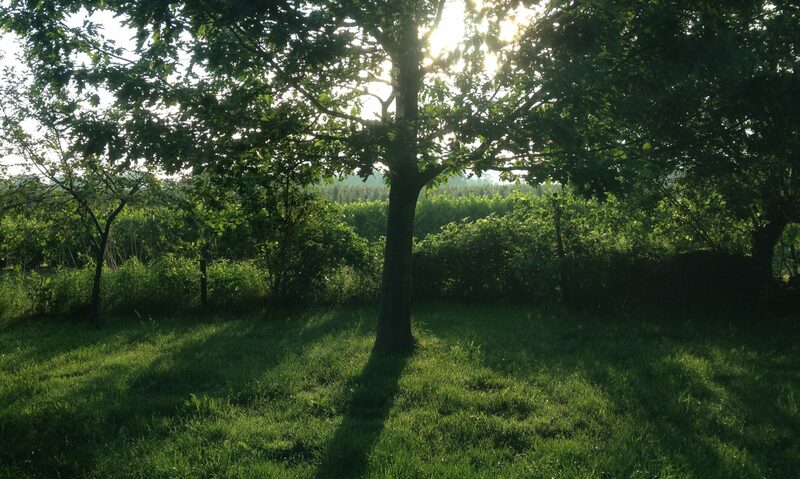 To leave the cognitive elements of your work unhindered by the everyday tasks. How does that make an organisation do Agile better? Many organisations strike standard elements from Agile frameworks. Unlike traditional methodologies, frameworks like Scrum don’t have a lot of redundant ceremonies or other elements. Not doing retrospectives or standups because “they don’t work in our organisation” is one of the biggest traps a transforming organisation can step into. Do them, keep doing them and in the meantime figure out why they work. Learn to walk before you can run, learn to run before you start competing in a marathon. Build good habits. Agile coaches can help there. The force of habit will help you do Agile in the most efficient way. Working as an Agile coach I am often told by Scrum Masters or Product Owners how they cannot understand how a 5-person team cannot become as productive as they should be in Scrum. Lately, I have been asking the follow up question: Do you count FTE (Full-time Equivalent) or actual persons when you say “a 5- person team”? Within companies people are often considered to be resources (hence the department Human Resources). The problem I see with this is that humans are NOT resources at all. We cannot assume that one person can be equally effective when they have to work in four teams at the same time. FTE is effective if you want to reduce costs or to throw a wannabe project a bone, or to give your program director a project plan that looks favorable enough to get the funding you need to get started. Within Agile however the FTE illusion is the cause of a lot of pain. My assumption (and I hate assumptions) when a company chooses Agile is usually that they will put dedicated teams on the products they want to develop. An assumption that has proven wrong in many companies that I have helped to transform from traditional to Agile. Agile is built on four pillars, of which the most important one is Communication. The Agile manifesto states “Individuals and Interaction are preferred above Processes and Tools”. Individuals, NOT FTE’s are preferred and their interaction. This is what Scrum Masters will focus on. To increase, for instance, the communication between Product Owners and Development teams. A problem that arises when you start measuring teams in FTE and not assigning full people to those positions is overhead. If a person is .5 FTE in one team and .5 FTE in another, the ceremonies and meetings will still be double for both team-positions. This problem also comes up when a Scrum Master is not dedicated to one team. I have been a Scrum Master to more than one (in fact even four) team. The teams were also working on the same portfolio so they were synchronized. Every Sprint end and start I was looking for ways to accommodate and facilitate all the teams I served. And since cloning is still in its infancy I was physically unable to attend all the meetings and ceremonies. Agile helps teams and individuals focus and also helps in reaping higher performance. Please keep in mind that individuals are undividable. In the age of the Internet of Things I am eagerly anticipating new amazing research. Something that I have been specifically following in the news, is the advances in prosthetics. When I was a kid I met a number of amputees who were struggling through life with the loss of their limb(s). My father worked as an HR manager at a government company that provided a workplace for people who had trouble finding jobs due to mental or physical disabilities. At that time, I met many of his colleagues and they instilled in me a desire to find ways to restore and/or improve the lives of people who lost mobility through the loss of limb or movement in limbs. A very important image in my mind was the scene from the movie “Star Wars, the empire strikes back” where after losing his hand in a battle with his father, Luke Skywalker (the protagonist) gets a new hand fitted. I have been hoping for advances in electronics that could make a prosthetic like that possible. In the past few years the advances that have emerged in this field have made my mind boggle. These advances were not just in electronics and mechanics, they have also been in the understanding of phantom pain, and treatment for that. One of the treatments is mirror treatment, where the visible movement of a missing limb is recreated by seeing the mirror image of the existing other limb make the same movement. This could of course be helped by actually having the limb back, but since growing limbs is still in its infancy, it may be a long time before we get that. In the meantime, there have been advances in making the amputee feel again. This could be the next thing in treatment, seeing your artificial hand move does not do much to counter phantom pain. But when you can feel it move or touch again – that would definitely help. 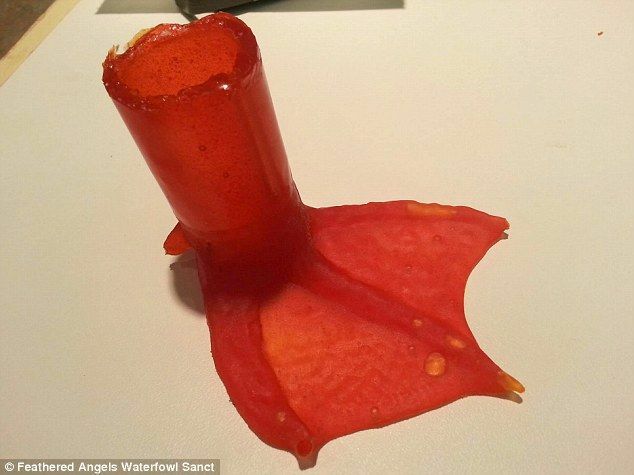 As we also see advances in 3D printing we have been able to see new feet being printed for ducks and we have seen that it is possible to help young kids by printing a new prosthetic for them. My interest in these advances also keep me looking for new developments in the field of electronic interfaces. One interesting development has been around for several years already. It’s the epidermal electronics development which make wearing electronics (essential with advanced prosthetics) lightweight enough to not hinder. I have not seen this kind of electronics be integrated with electronic prosthetics, but I am hopeful these fields of study will eventually merge. Using an epidermal electronic interface may help in the development of a lightweight exoskeleton that can help people who have lost mobility, either with or without limbs. I wish this would have been possible for my friend Philippe who died of muscle dystrophy this year. A hero in his own right with a tremendous will to live. I will keep monitoring the news and web for new discoveries and maybe, if I am lucky, I may help people become whole again, man aided by machine.